Akin to an Energetic Facial, The Energy Light Rejuvenation Facial or ELR™ for short, uses a set of Frequency and Color Light Probes over the acupuncture points and meridians of the face. Treating a holographic image of the entire body. It is one of the phenomenal Microcurrent Therapies that we offer. What is color light therapy, and what are its benefits? Color light has been used for thousands of years to promote healing, physiologic balancing, anti-aging, relieve pain and for spiritual attunement purposes. There are records of color light healing from as far back as ancient Egypt and Greece. In modern times, low level light has been used for pain relief, cancer therapy, addictions, facial rejuvenation, treatment of depression and much more. Color light is also used as a form of acupuncture treatment, and provides a stronger body-mind-emotions connection than traditional needle therapies. 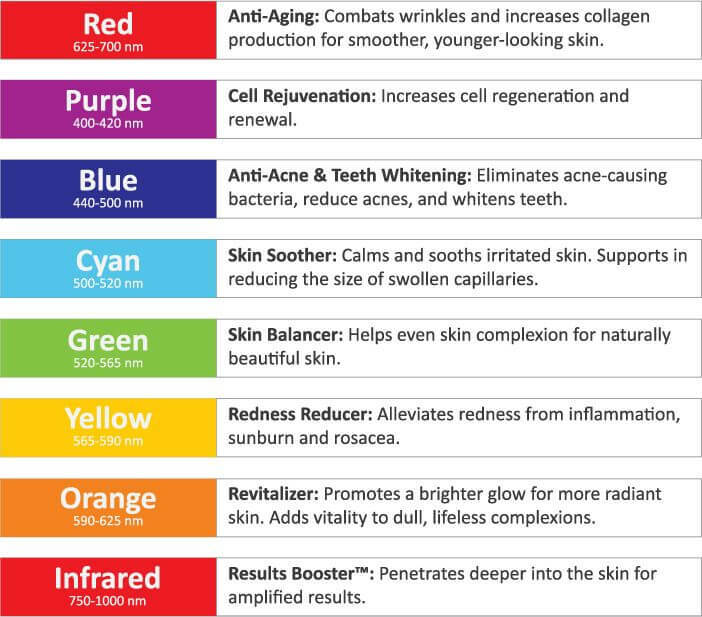 How does color heal the body? Photons (light particles) and phonons (sound particles) have been shown to be integral parts of the body’s amazing internal communication network. 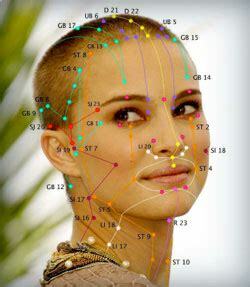 This “living matrix” also includes neuro-peptides such as hormones and neurotransmitters. Research in Russia has confirmed that light actually travels through the meridian system, as has been confirmed using sensitive test equipment called a photo-multiplier. Each color (wavelength) of light carries information to the cells of the body, and gently triggers improved functions. For example, the liver is very sensitive to Red and Green light. Red stimulates a sluggish, weakened liver, while Green reduces inflammation and helps smooth the flow of Qi, or life energy associated with the liver. Orange light helps treat hypo-thyroid conditions with fatigue, weight gain and dry skin by boosting thyroid hormone output, while Indigo light has the opposite effect, reducing hyper-thyroid conditions such as nervousness, weight loss and goiter. The application of microcurrent and color light through acupuncture points has been shown to be particularly powerful for shortening treatment times and improving results for acute and chronic pain patients and for facial rejuvenation anti-aging treatments. 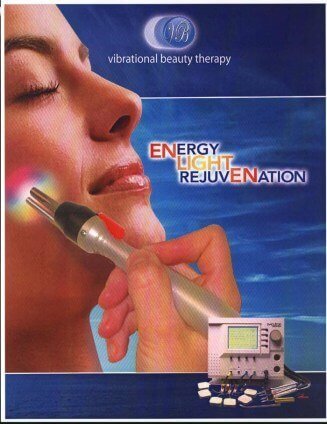 The magic of ELR™ (Energy Light Rejuvenation) is the use of color combined with microcurrent done simultaneously. Microcurrent lowers the resistance in the body’s energy pathways so light, color and energy can travel. Color is how the body communicates on the cellular level. 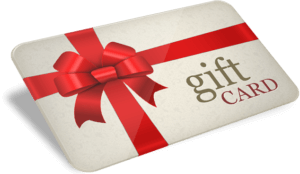 Your skincare or wellness professional can choose from 12 customized colors to address your specific needs. For thousands of years, the Chinese have known that beauty comes from the inside. Acupuncture rejuvenation practices were employed for the Empress and the Emperor’s concubines at least as early as the Sung Dynasty (960AD-1270AD). The Chinese discovered and utilized ways to change the energy flow within the body to initiate the healing process for rejuvenation. Even for those unfamiliar with the principles of Chinese Medicine, it is known that increased circulation helps the body to look and feel better by significantly increased oxygen flow and regeneration. Rather than masking outward symptoms and allowing further decline and dysfunction within the body, Chinese Medicine treats the underlying cause of why someone is aging. In modern times, in the western world also known as Functional Medicine. Now we can do this without needles, without pain, and without bruising with our Microlight Therapies and The Energy Light Rejuvenation techniques for facial rejuvenation and body contouring. What are the effects of ELR? Energy Light Rejuvenation may erase as many as five to fifteen years from the face. Most people see positive changes in the first treatment and it just gets better from there the more sessions you do to establish long-term youthful results! A series of 10 to 20 treatments twice a week is recommended depending on the severity of damage and desired results. ELR is the perfect add on to any treatment and it is the perfect maintenance pick me up for improved vibrance from the inside out!! Perfect for events when you have no time for down time! To schedule or purchase an Energy Light Rejuvenation facial or microlight body contouring treatment series contact Rejuvenate 528 today at 941-281-8445 or email info@rejuvenate528.com.